If you missed the last deal, don’t sweat. 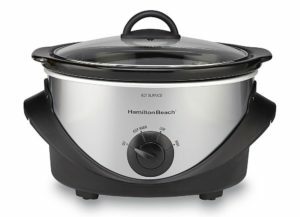 The $10 slow cooker is back in stock! These things are a life saver, I literally used mine yesterday for slow cooked chipotle chicken. Sound good? Damn right it was good.